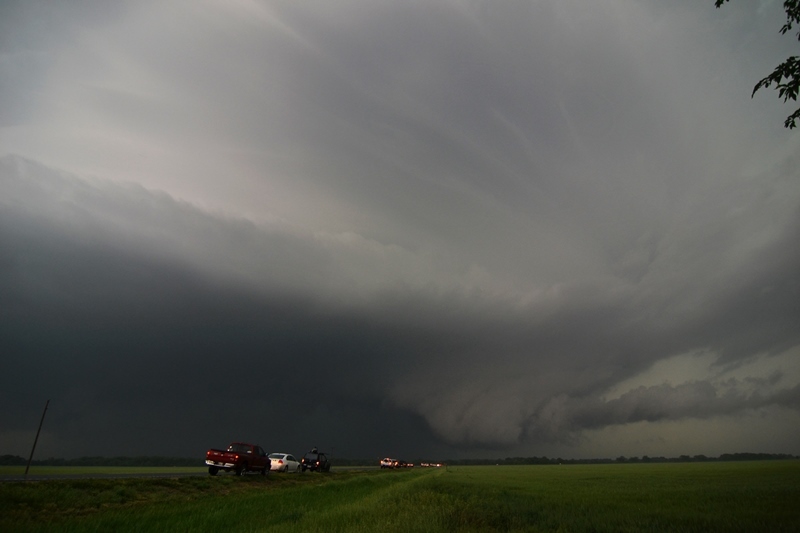 MAY 25TH SOUTH DAKOTA - AWESOME STORM STRUCTURE! 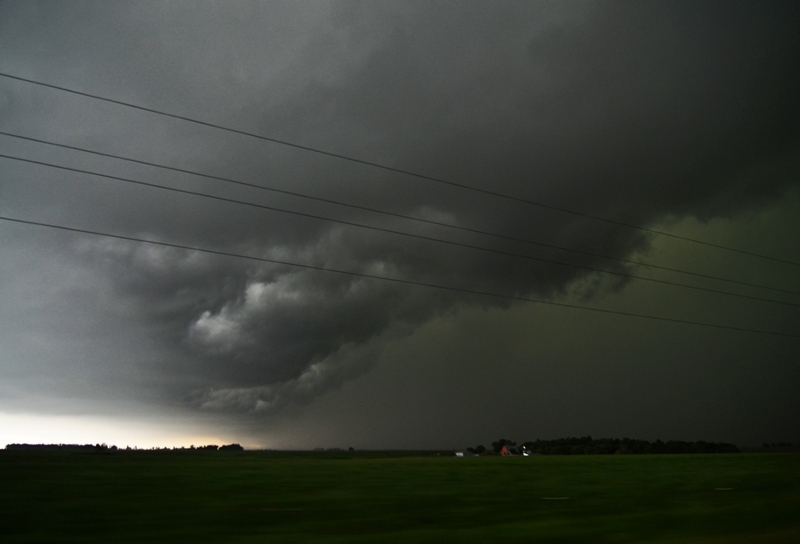 Feeder bands into the developing storm coming off the Black Hills near Sturgis. Storm starting to get more of rounded and lower base as it comes off the Black Hills east of Sturgis. 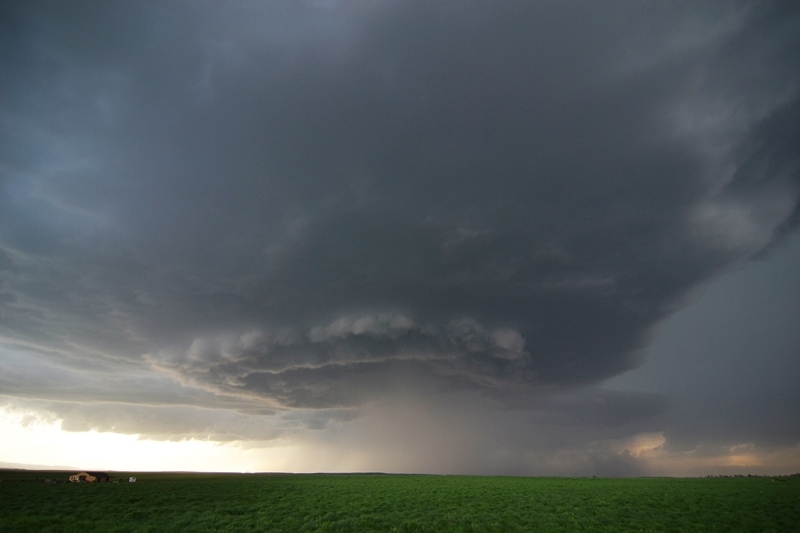 Storm dumping a rain and hail core onto Bear Butte Recreation Area. 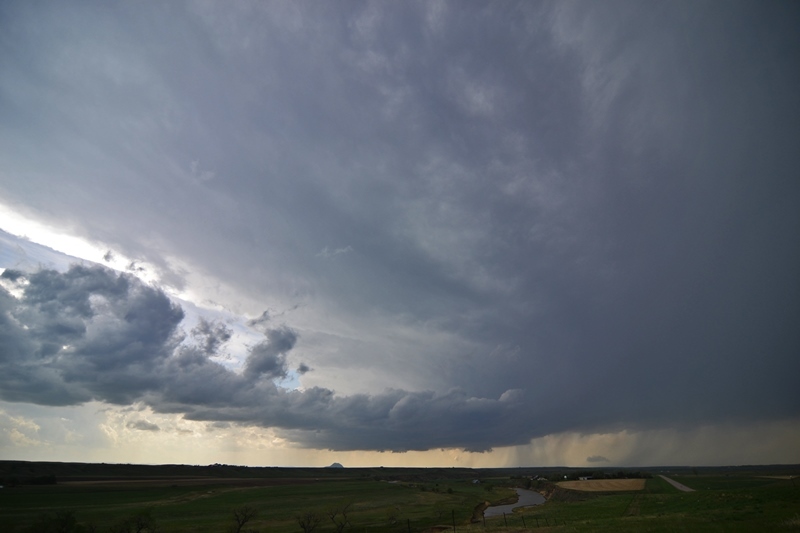 Storm developing into a supercell at this time with massive hail core near Bear Butte Recreation Area. Had to get a picture in front of this thing. 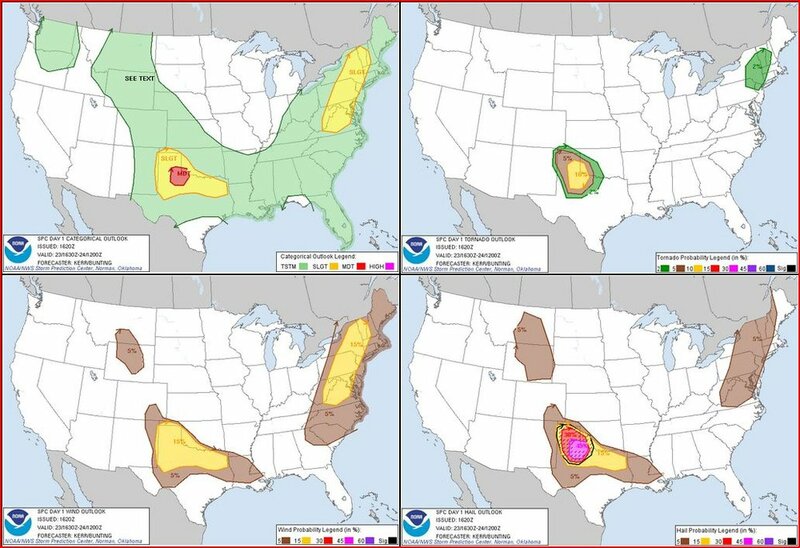 I love chasing in South Dakota! Always photogenic in this area. 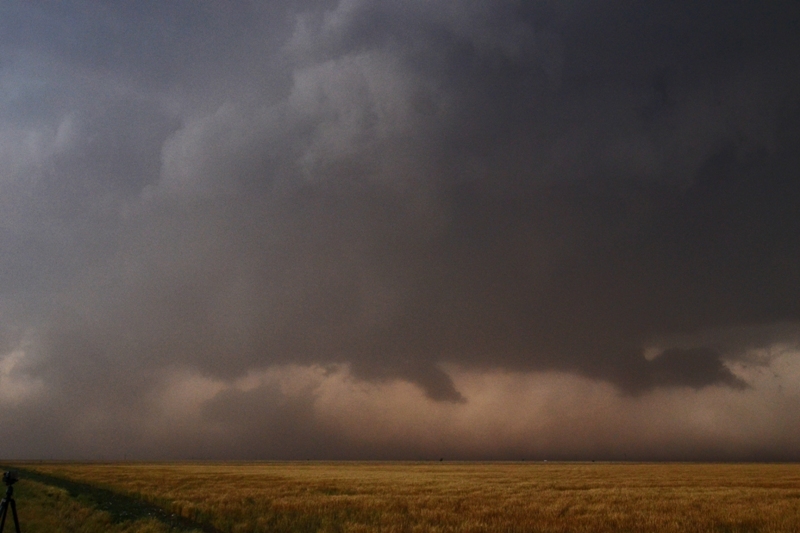 Lowering inside the right edge of the rain/hail core with low scud being pulled in at the time. Starting to take mothership appearance. 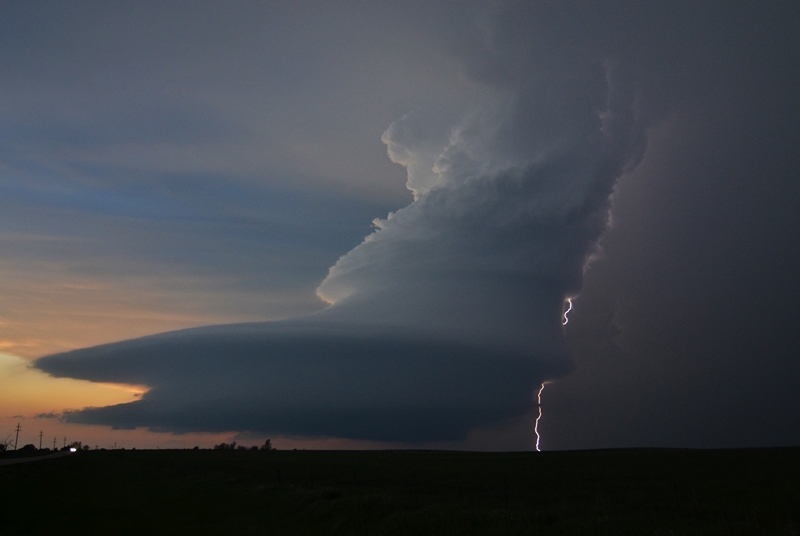 Beautiful storm over the open country of South Dakota. 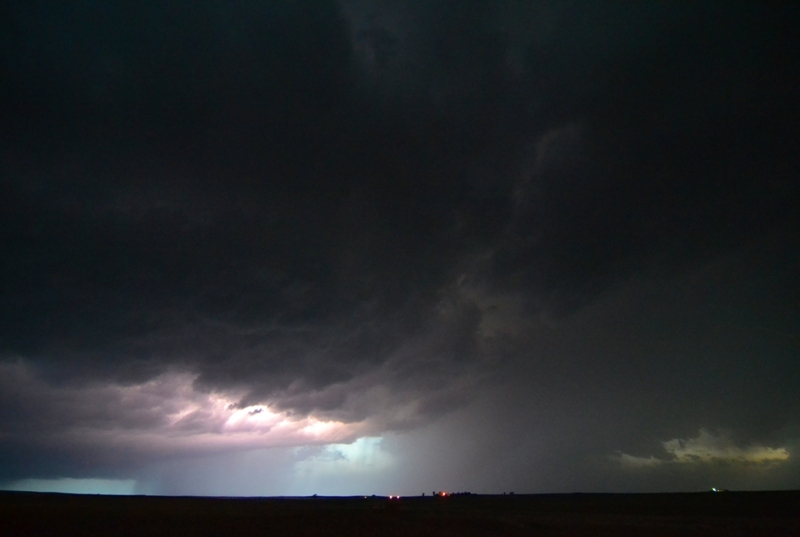 Incredible structure with this storm to the east of Rapid City, SD. 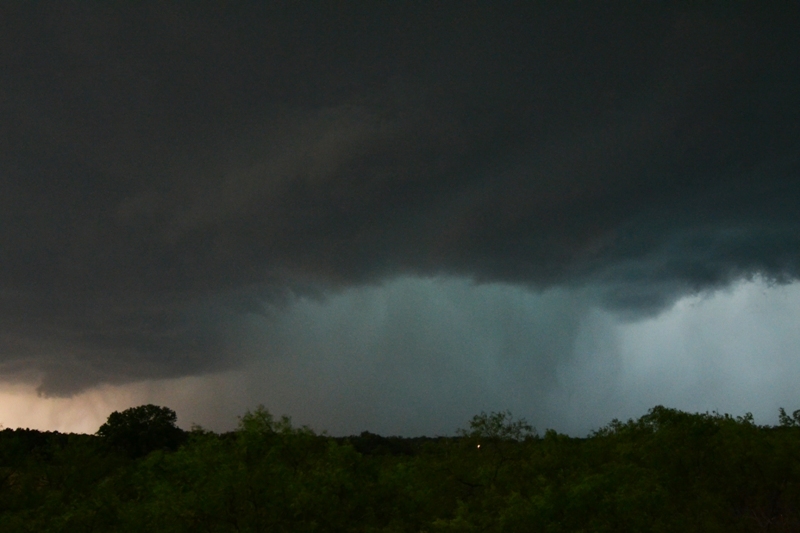 Big, blocky wall cloud forming underneath the base of the storm. 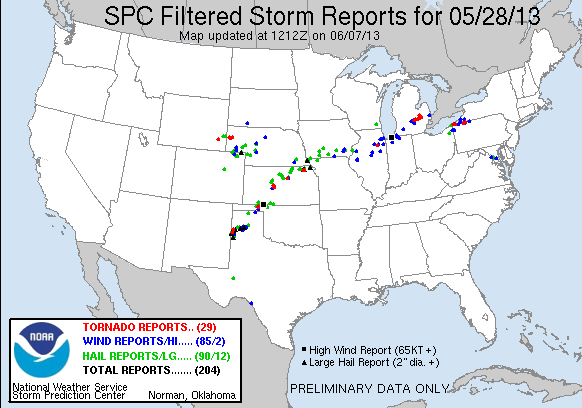 No rotation noted at the time. 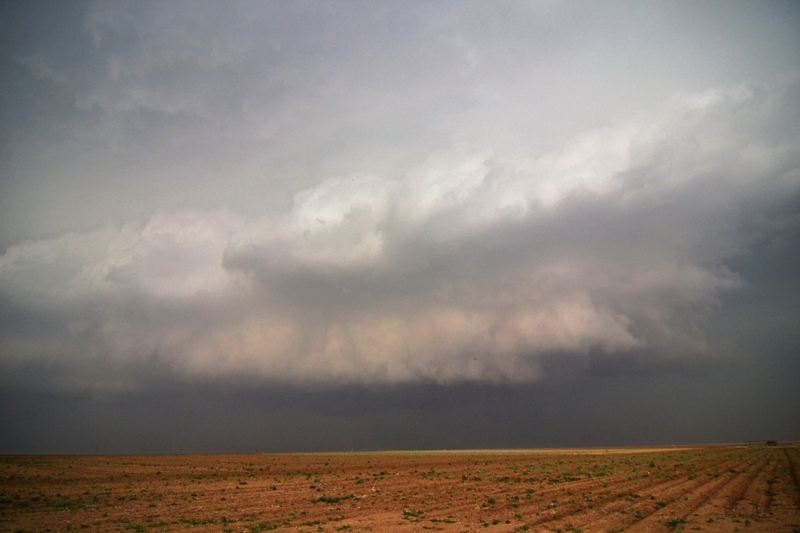 A different storm but similar, great structure. 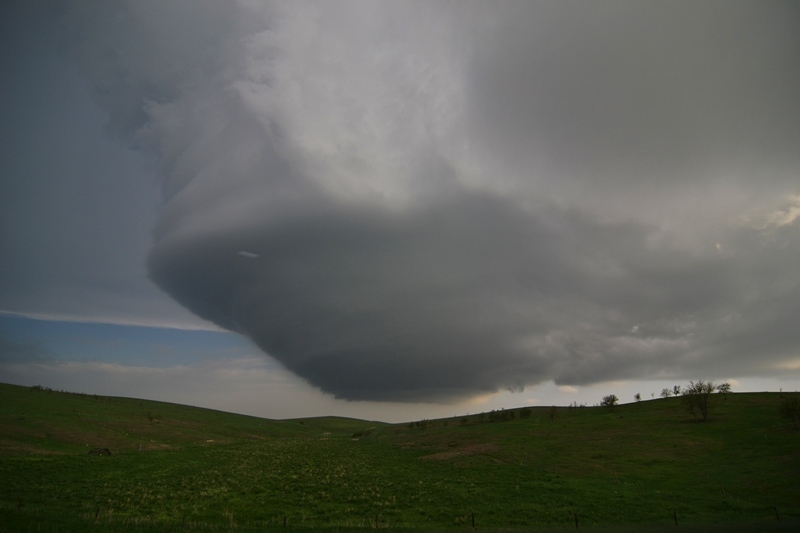 Awesome mothership, LP supercell to the east of Rapid City, SD. 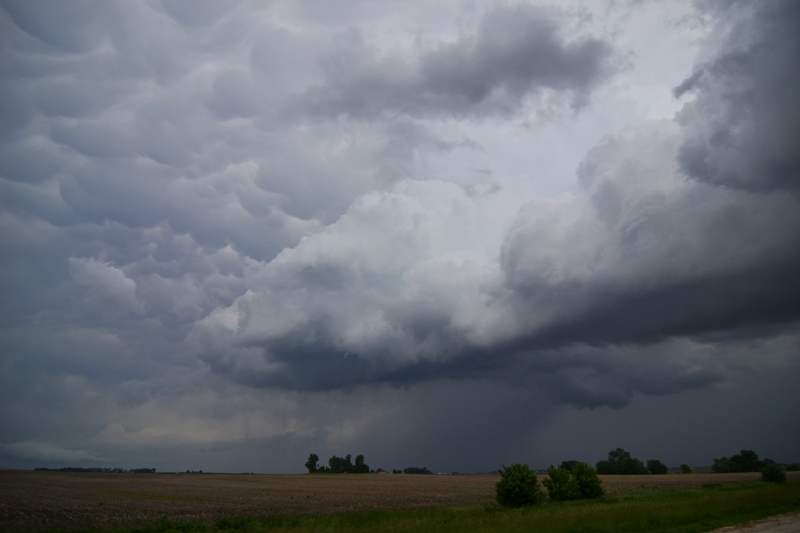 Storm really starting to get that twisting, corkscrew updraft look to it. 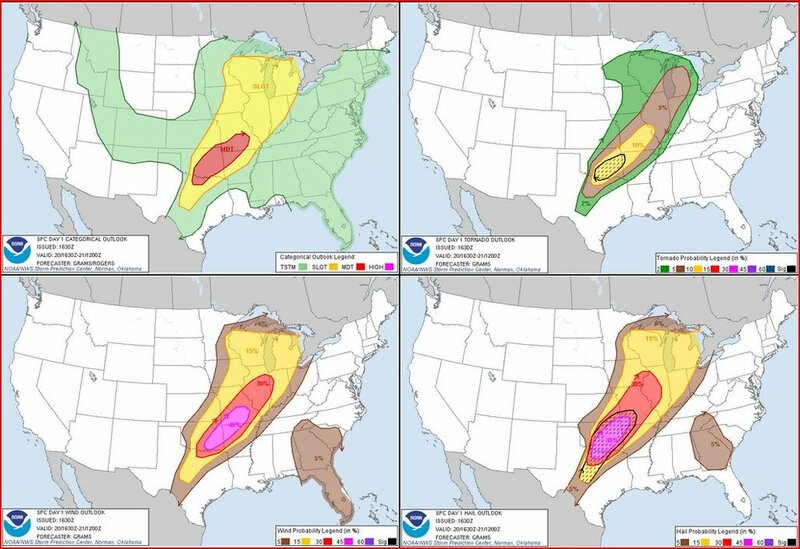 LP supercell morphing into a large, rotating soda can. 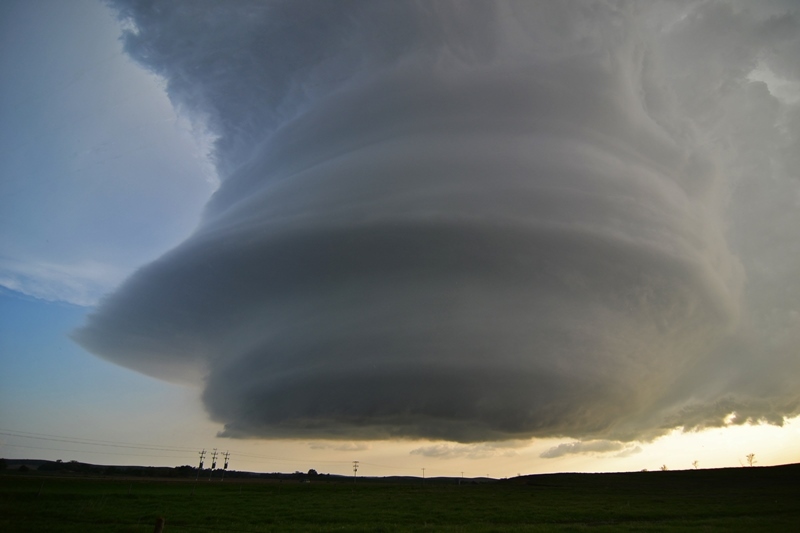 Definitely looks like a spinning mothership at this point! 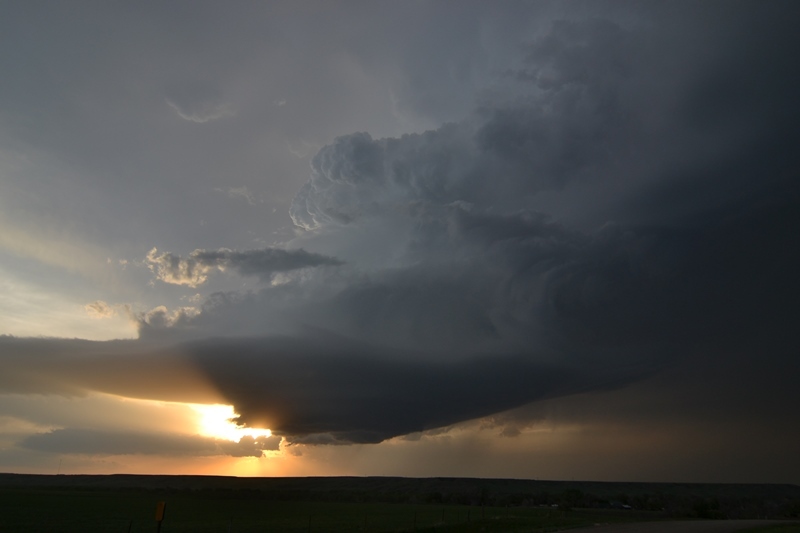 Incredible LP updraft backlit by sunset near Wasta, SD at the end of the day! 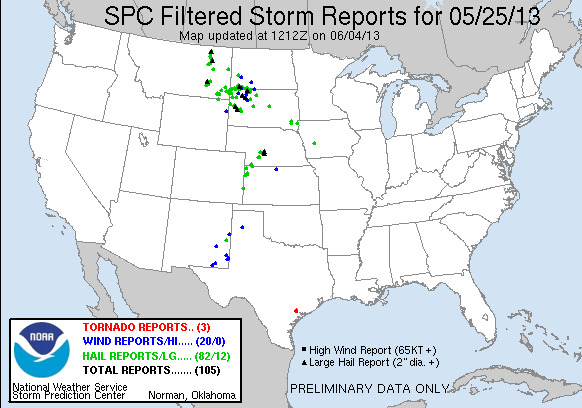 Structure was the name of the game today as we left North Platte, NE with our target being northeast of Rapid City, SD. We headed up through Valentine and then into South Dakota. 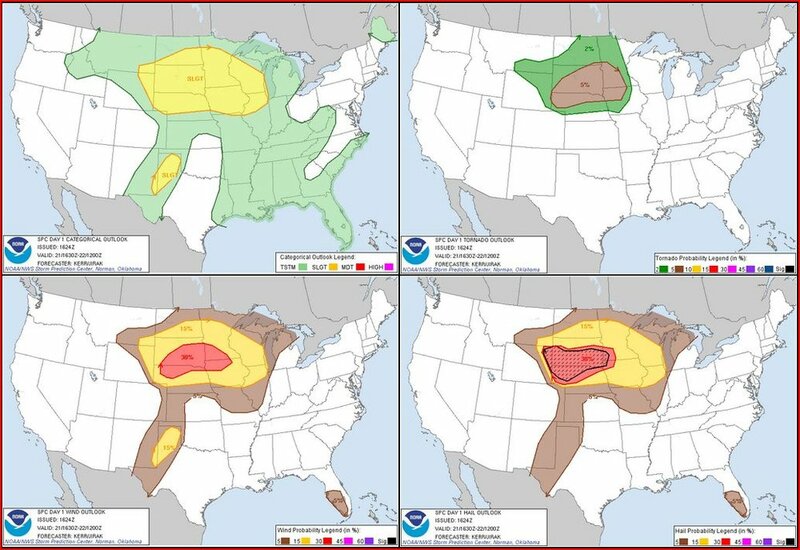 By the time we reached I-90, storms were already firing off the Black Hills, and we made the decision to head north, then west to get to our target storm. We stopped in Philip, SD for fuel then the chase was on! 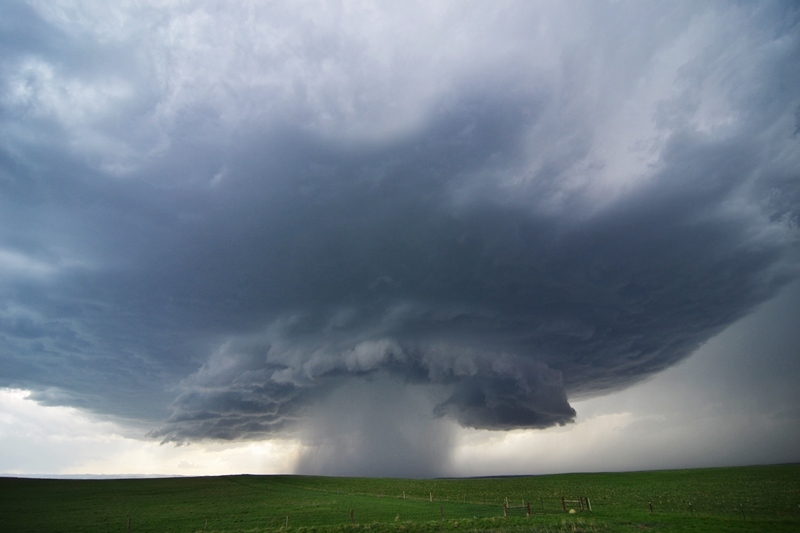 At Howes, we turned west as our storm, which was between Belle Fourche and Spearfish, had barely moved in the hour we had approached it, and then it began to right turn hard over Bear Butte. 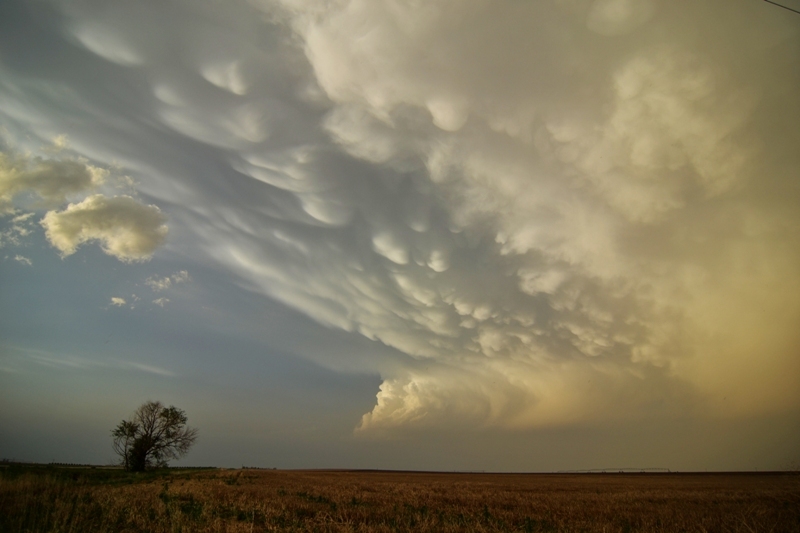 One thing about chasing in South Dakota is that the terrain is spectacular even without a storm over it, which makes for some very photogenic shots. As we drove towards Union Center on Rt. 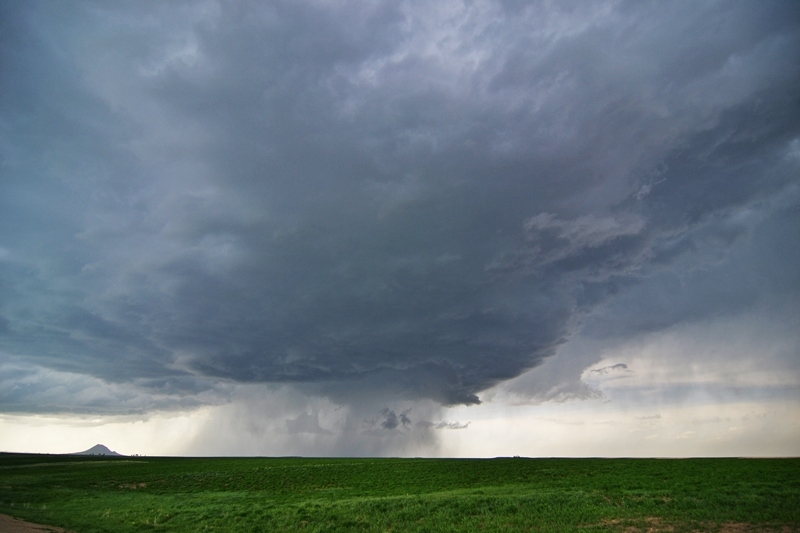 34 we stopped and watched the storm about 20 miles from us, framed over Bear Butte with a farm and a river in the foreground, and a long inflow band wrapping around over us into the storm. 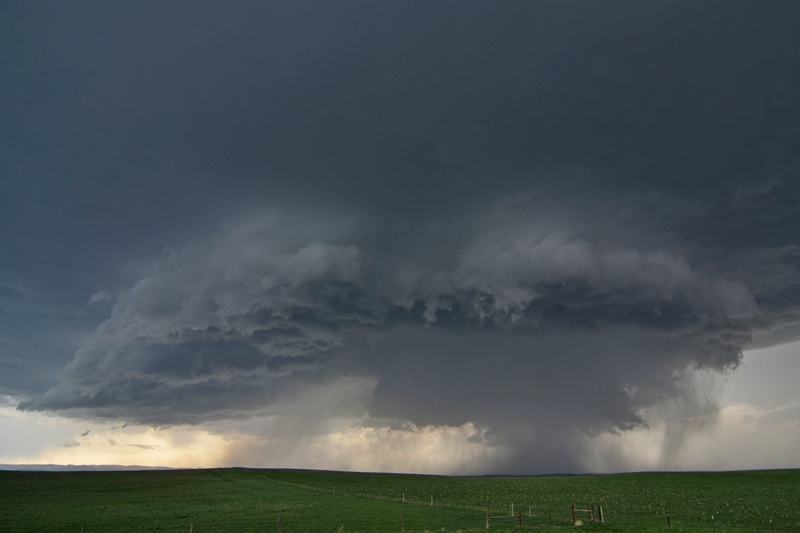 After about 15 minutes we headed west towards Sturgis, then dropped south onto dirt roads and drove right up to the hook area of the storm as it belched a big hail core right over the butte. 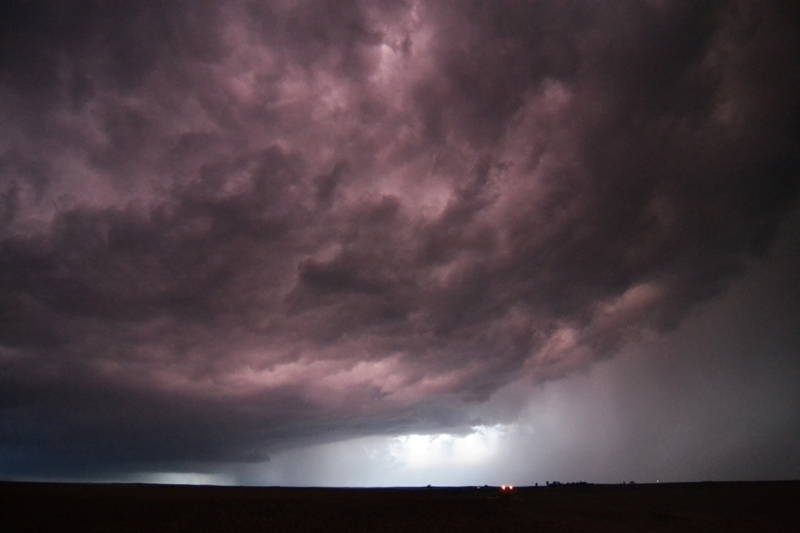 The storm still barely moved and we were able to maneuver to just about any position we wanted for a good view, and at every stop we were not disappointed at the structure of the storm. 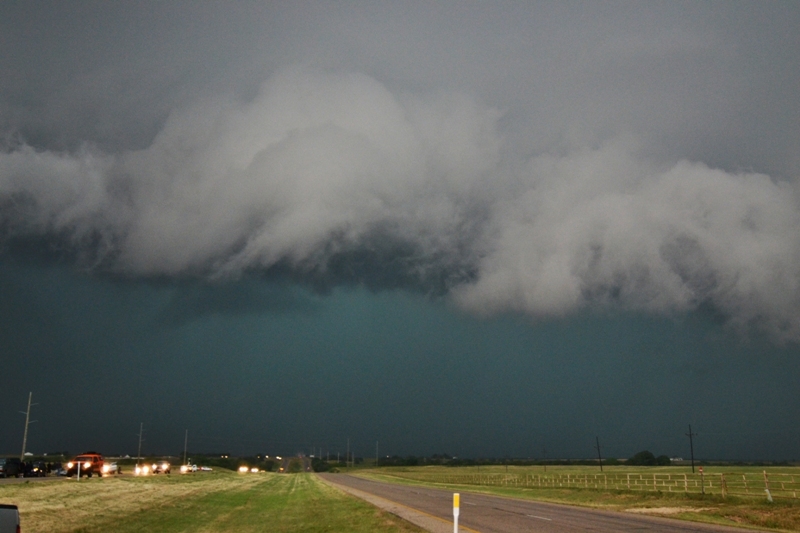 Behind us, the inflow winds were howling into the storms for hours. After the first cell started to cycle down after a weak attempt to spin up, the western updraft of the storm took over and again, we drove right into the notch and watched the incredibly structured supercell spinning away with a big, broad meso as it came right to us, with dirt entrained in the inflow blasting by us towards the updraft. Luckily the dirt roads were in good shape and we didn’t have much trouble getting around in the road hole. 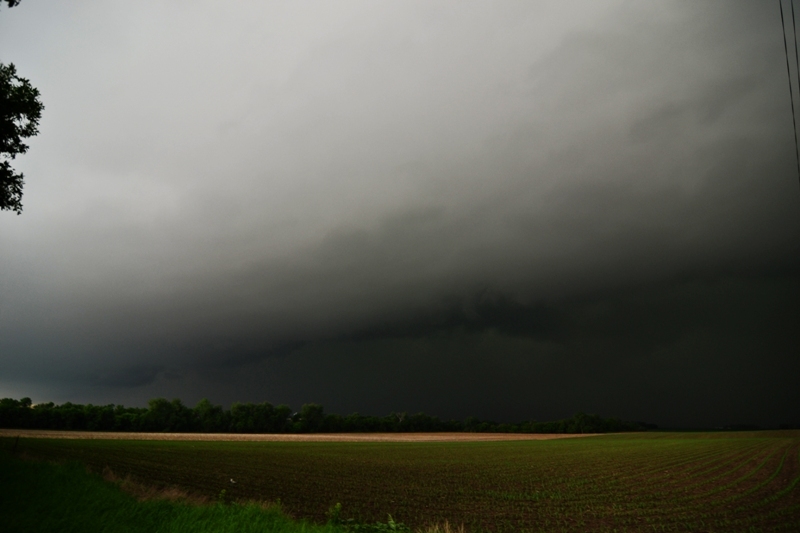 As the second cell got very close to us it dropped a HUGE hail core just to our northwest where you could almost watch the individual streams of hail falling. 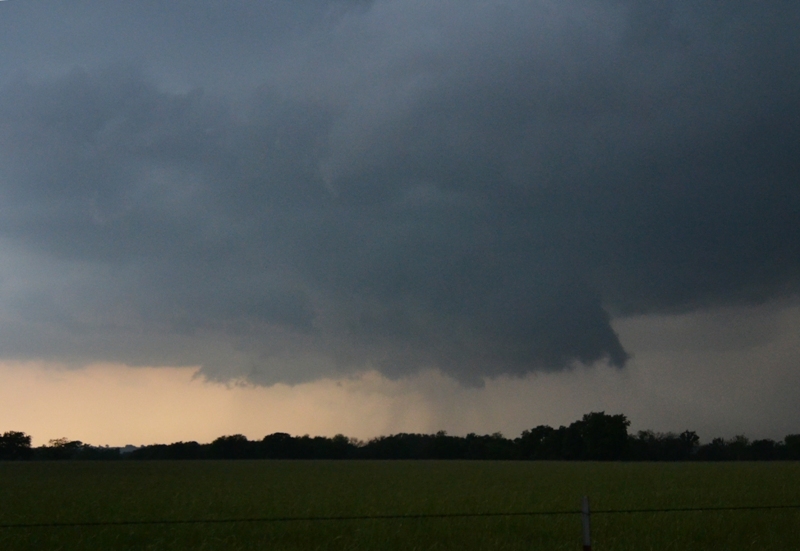 Again, there was solid rotation on radar but still, not even a decent attempt at a funnel. 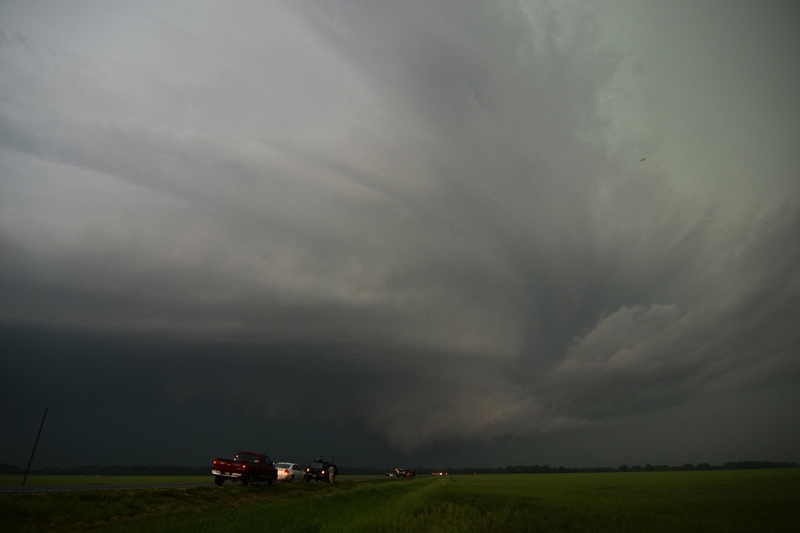 After that big hail core bombed out, the new western updraft took over and we did the same thing all over again as the new storm took on the classic “mothership” look with a big disk of a base and striated layers on top. 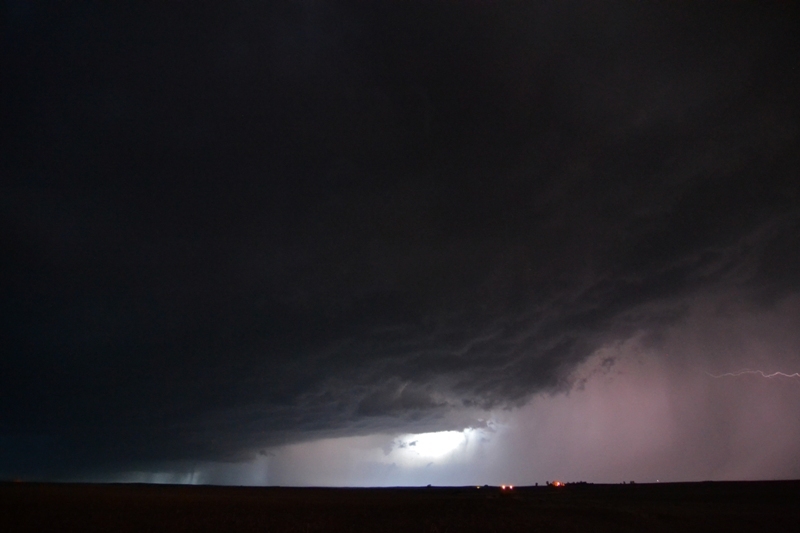 We had to run east towards Elm Springs to beat the big hail, then headed south with the storm obediently following along. 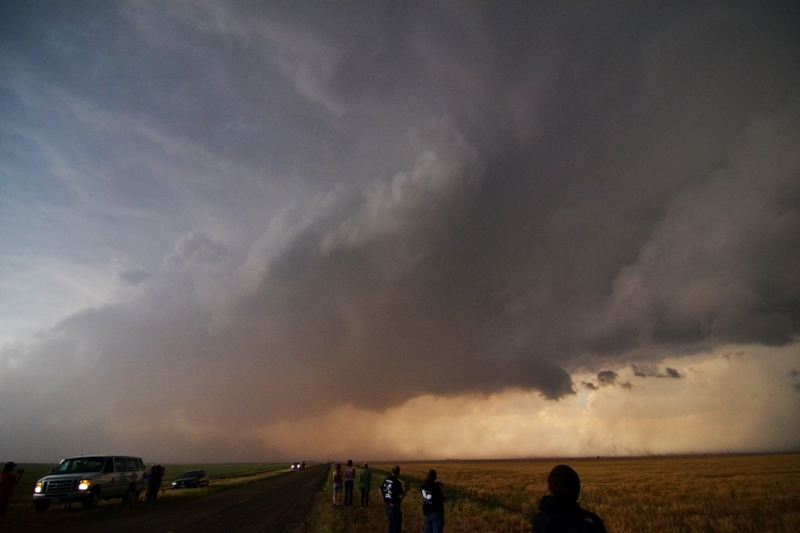 The structure somehow was even better than the previous two updrafts! Finally, we decided to get out ahead of the storm for a distant view of the structure, getting on I-90 again and heading a little east to a rest area near Wasta. As the sun set behind the storm, the storm got even MORE photogenic! 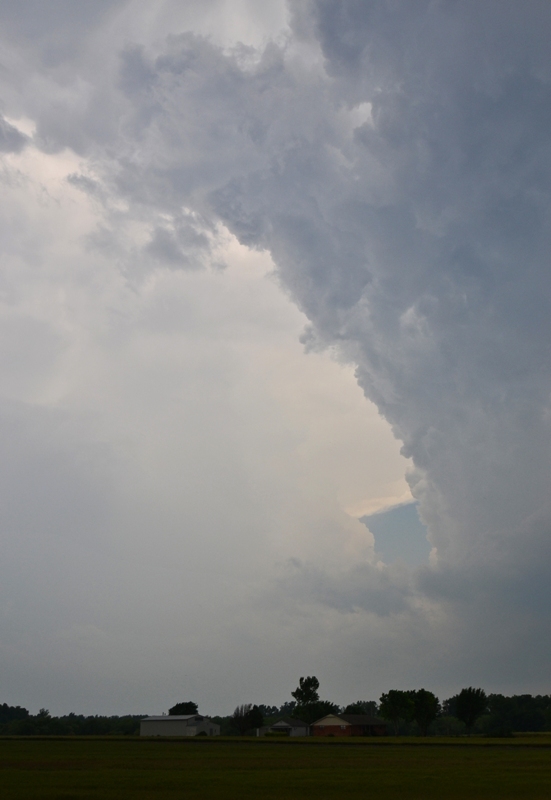 As it crossed the highway, a decent funnel formed (finally) but then the storm cycled down. 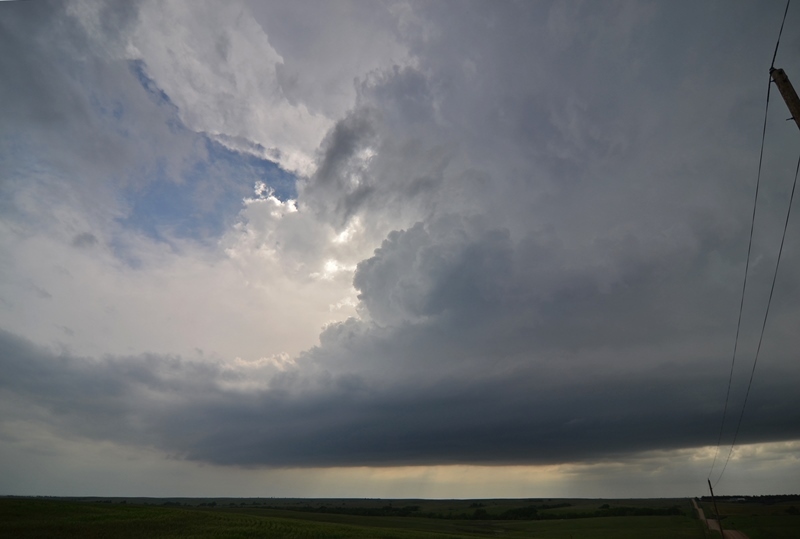 We found another great vantage point and watched the storm, which was now becoming a skinny LP storm, twisting and turning with the sun setting behind it and numerous cloud to ground and cloud to cloud bolts coming out of the vault area. We finally called it quits and headed to the hotel in Spearfish for the night.